I made a response to Rand Paul’s address at the Urban League Convention in Cincinnati, July 23-26, 2014 in which he dubbed himself a “minority”, in “What not to say to black people when you are Rand Paul“. I want to share this opinion piece with you from Stephanie-Rawlings Blake, the mayor (D) of Baltimore MD. While I applaud anyone’s efforts to reach out to the black community and share ideas that would improve our families’ lives, Paul doesn’t understand a very important piece of the puzzle: earning our trust. For Paul to claim to stand up for our values while opposing policy after policy that advances our community is not the way to do this. So as Paul spends time in Cincinnati today, don’t let him fool you. To see what he really believes on issues critical to the black community, look no further than the actions he’s taken, the agenda he pushes, and the offensive words he used for years before he decided to run for president. Rawlings-Blake is one of the few big city mayors in the U.S. who is female. She is the only one-currently-who is black. …only a handful of black men and women serve as elected mayors of major cities in America. 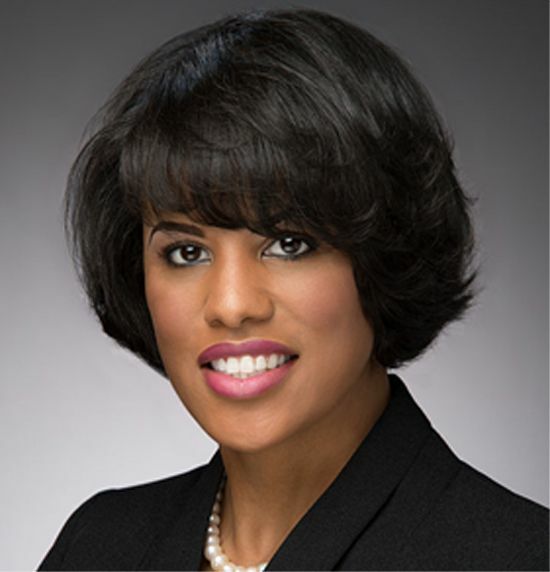 Of the 100 largest U.S. cities, only one has an African-American woman as mayor- Baltimore. Baltimore is one of the ten cities in the US with a population of over 100,000 with a majority black population – currently 64.3%. Rawlings-Blake is no stranger to right-wing opposition and agendas. Her conservative opponents have taken issue with her stances on immigration enforcement, marriage equality and anti-choice so-called crisis pregnancy centers. In March, Rawlings-Blake signed an order prohibiting police and social agencies from asking anyone about immigration status. The order also says no city funds, resources, or personnel shall be used to investigate or arrest people solely for a civil violation of federal immigration law. And it asks U.S. immigration agents to tell people they arrest that they are from the federal government, not the city. Hi, I am Baltimore Mayor Stephanie Rawlings Blake, and I am a Marylander for Marriage Equality. I believe that all couples in Maryland, regardless of their sexual orientation, want their children protected under the law. Just as a straight couples commitment to family is legally recognized, so to should a gay couples commitment be recognized by our state government. Marriage protects families, and couples regardless of sexual orientation deserves the same protection. It’s only fair, it’s only right, and our state must act to make it so. See the Baltimore Sun photo gallery of “Stephanie Rawlings-Blake through the years”. In 1995, Rawlings-Blake became the youngest person ever elected to the Baltimore City Council. She became President of the Council on January 17, 2007, when then-City Council President Sheila Dixon became mayor (after then-Mayor Martin O’Malley became Governor of Maryland). Under the Baltimore City Charter, the City Council President becomes mayor if the mayor dies, resigns or is removed from office. On June 14, 2007, Rawlings-Blake announced that she would seek a full four-year term as Council president. Her platform included improving education and reducing crime in the city. In a poll of likely Democratic voters released by the Baltimore Sun on July 17, 2007, Rawlings-Blake was in a virtual tie with Michael Sarbanes, son of former Senator Paul Sarbanes. The poll had Sarbanes getting 27% of the respondents and Rawlings-Blake 26% with Councilman Kenneth N. Harris, Sr. a distant third with 8%. The poll’s margin of error was (+ or -)4%. She won the Democratic primary-the real contest in heavily Democratic Baltimore-with 49% of the vote compared to 38 percent for Sarbanes. In the general election, Rawlings-Blake defeated her only opponent, Green candidate Maria Allwine, with 82 percent of the vote. In February of 2010, the mayor of Baltimore, Sheila Dixon, was convicted for embezzlement. Dixon resigned and “Rawlings-Blake, as council president, automatically succeeded Dixon as mayor”. She ran for election for mayor in 2011, and “handily defeated Republican challenger Alfred Griffin, taking 84 percent of the vote”. Look forward to seeing where she goes next in politics. It is good to see that our bench has strong women and strong women of color. She is right: people, not just blacks but young people also, need to look closely at Rand Paul, really, at any libertarian. Libertarian is just code for “You’re on your own, sucker”. Easy to say when you are the son of privilege and your idea of hard times is when your cell phone service goes down to 2 bars. I would rather live in a society where people help each other … it enriches both the giver and the recipient. I thought this law was settled 50 years ago. No laws passed by Democrats are ever “settled”. We have to keep fighting and keep winning elections because safety nets like Social Security and Medicare and Medicaid and the ACA, and civil rights laws are only one Republican president with a Republican Congress away from repeal.